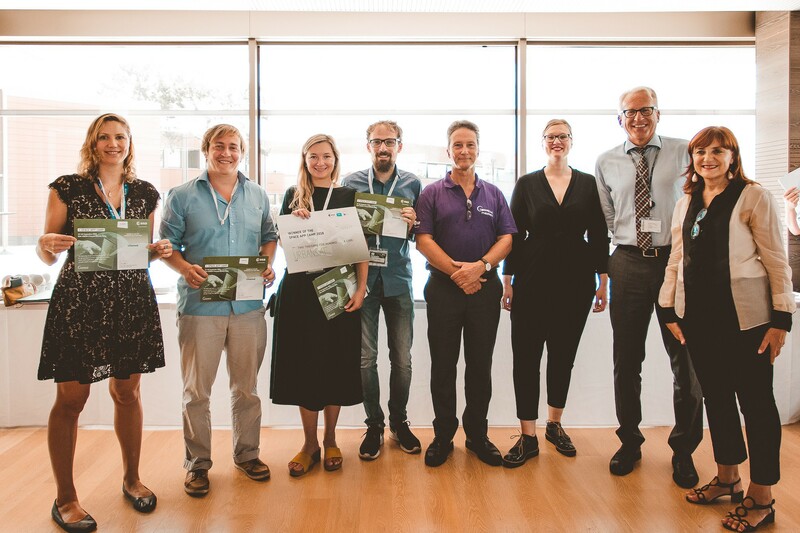 An app that uses satellite imagery to assist urban planners scooped the top prize of EUR 2,500 at this year’s Space App Camp at ESA’s Earth observation centre in Frascati, Italy. The seventh edition of the camp brought together 24 app developers from 11 countries. Working in teams of four, they spent a week transforming the latest Copernicus Sentinel data into information accessible to a broad audience. From sustainable development to digital transport and smart farming, the prototype apps developed by the six teams covered a wide range of topics. They were all designed to bring Earth observation data to the public, in an accessible, user-friendly way. At the same time, they offer the developers the opportunity to ultimately transform the prototype into a profitable application. This reflects some of the core features of the Copernicus programme: providing access to data free of charge for everybody, which can lead to new business opportunities. As Europe’s Copernicus programme continues to launch the Sentinel satellites, transforming their data into useful products poses both a challenge and an opportunity. This is just the start of the journey for many of this year’s Space App Camp participants. All teams will be invited to bring their ideas to one of ESA’s Business Incubation Centres and to submit them to the Copernicus Masters 2019 – an international competition that awards prizes to innovative solutions, developments and ideas for business and society based on Earth observation data. The camp culminated with presentations of the six projects to a jury, with first prize awarded by the Head of ESA’s Copernicus Space Office, Simon Jutz. The winning Urbansat app aims to guide greener, more ecological urban planning. It provides a range of data for planners, including information on green spaces, terrain and biodiversity and more, all in one place and at an affordable price. The app’s map interface has a drag and drop feature, which would allow users to compare scenarios pre and post build for their construction projects, through the generation of relevant data, largely derived from Sentinel satellites. This would allow them to see the anticipated impact of constructing a building on local air quality, for example. Other apps developed included a smart farming app called Dr Potato, which used Sentinel-2 and Sentinel-3 data to create maps showing farming areas at risk of disease. This digital “farming assistant” is designed to provide reliable support to farmers to help them understand their crops’ health by selecting their field location in the app, helping small farmers, in particular, to survive in a difficult environment. The Best Beaches app provides a fully personalized service to users to help them identify the best beach for them based on a range of user preferences, including water and air temperature, generating a personal beach ranking for each user. The Ship.AI app, meanwhile, is designed to combat illegal, unreported and unregulated fishing, which carries huge societal, environmental and economic consequences globally. The SentinelSwipe app was developed by a team of ESA Young Graduate Trainees to use machine learning to deliver fast results in the domain of change by transforming local knowledge into predictive insight for rapid response.